The Coffee Collective Blog: The Coffee Collective celebrate 3 years! 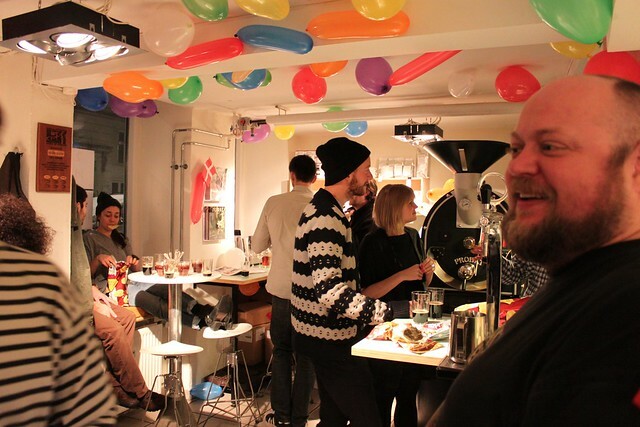 The Coffee Collective roastery and coffee shop on Jægersborggade turns 3 years. We celebrate with free espressos the entire day and from 17:00 a special coffee drink on the La Esmeralda Special and Mikkeller's Beer Hop Breakfast with TCC coffee on tab. The opening day on Jægersborggade. Yes, it's been 3 years now. Last year's birthday party. Kid party style. tillykke, tillykke fra os på Midtsjælland.